When the weather starts getting warmer, food starts getting brighter. 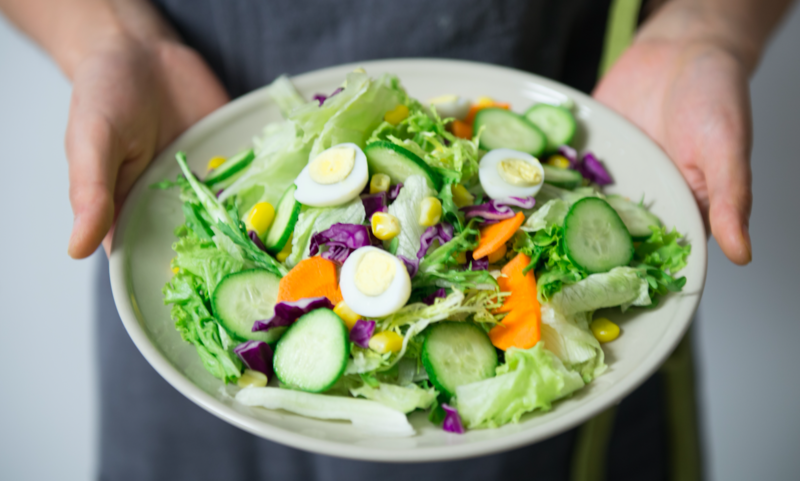 Spring is the perfect time for the residents of our Wilmington, NC apartments to imbibe in salads that scream "springtime!" With this in mind, we've found a few recipes to get you started. These days, you can find strawberries all year long, but they're particularly delightful in April. That's when they're in their ripest, freshest and juiciest forms. Couple your strawberries with some diagonally sliced rhubarb to make a springtime twist on a fall favorite. As spring's center-stage darling, we couldn't let this fruit stand alone on our list of favorites. This salad incorporates veggies, protein and delicious flavor — all in a single bowl. Fire up the gas grill and get ready to make your neighbors a little jealous. This salad just begs to be topped with protein that's been subjected to the grates of the grill in a way that encapsulates its flavors and juices. Top it with a few fresh cherry tomatoes you grew on your own balcony garden, and you're good to go! Grapes are great by themselves, but when you pair them with cream cheese and a bit of sugar, amazing things can happen on the side of your plate. This salad is an awesome accompaniment to meaty dishes and works well when placed aside an entree of grilled tofu or a shredded chicken sandwich. It's a versatile salad that's got good intentions for your flavor palate. The citrusy dressing of this salad brings summer right into the bowl. Of course, the pineapple plays a big role in ensuring this salad is immersed in fruity flavors that speak to all the awesome things springtime delivers. A little bit of bite from the serrano peppers cuts through the natural sweetness, bringing just enough heat to make the final product something really special. Don't forget to adorn it with fresh avocados when you're done! Start your springtime with a hop in your step by walking into an apartment that's designed to welcome you home. Check out our Cypress Pointe Apartment Homes photo gallery!